It's been a while since I wrote a post on something about computers (okay - Mr Robot, but that's television show) so I thought I might write something about Platform games since I have already written a post on Space Invaders. Okay, you can always go to the Wikipedia Article on the topic but honesty, who actually wants to sit down an read a Wikipedia Article which is basically a (albeit quite detailed) encyclopedia entry. Sure, I've probably lifted a few ideas out of it, but the difference is that in the Wikipedia article you don't get a video, you don't get an embedded game that you can play, and most of all you don't get my voice. Anyway, having grown up with a Commodore 64 I have to admit that I played an awful lot of platform games. Since many of them had elements of an adventure game in them (with graphics to boot) I found them somewhat more exciting than the standard text based game where you had to give the computer instructions by typing something into the keyboard - all you needed was a controller (or joystick), and they generally weren't all that time consuming. You probably already know this, but that little character that you see running along the girders and climbing the ladders is none other than the beloved Mario from the Super-Mario fame - yep, Donkey Kong was released by Nintendo and was was the first in a very, very long line of Mario Bros games (in fact if you look really closely you can see the resemblance between our hero in Donkey Kong and Super Mario). The thing with platform games was that they were pretty easy to make, and not surprisingly the shelves of the computer game stores were flooded with them. However while one could simply change the colour (or style) of the platforms, as well as adding coins and such, people eventually would become board with them. The problem with the old computers was that you only had one button on the controller, which meant that you could only do one thing with it. However as the games developed, the button stopped being used to jump, and started to be used to shoot something. To jump you would push the joystick up (or diagonally), and to climb ladders you would simply position yourself in front of the ladder and push up. Some games even added the option to dig by pulling the joystick down. One game that I really enjoyed (not that I was any good at it) was Manic Miner, and the sequel Jet Set Willy. In this game the levels were painted as being different rooms, so once you completed a level you would then move onto the next room. Some of these games went a little further by allowing you to return to rooms that you had previously visited, as well as having parts of a room inaccessible, meaning that you have to get to it by going around the long way. Mind you, there would always be nasties running around, which meant that you also had to avoid them (usually by jumping because the games with the guns would come a bit later). This leads me to another one of my favourite games from my youth - Ghosts n Goblins. In this one you are a knight that is out to rescue, not surprisingly, your damsel in distress from the horrid demon that has taken her prisoner. I still remember when it came out is was to a huge amount of fan-fare, and I don't know how many coins I plunged into the arcade machine to play it. Anyway, this was one of those games where you had a weapon - at first a lance, but you could also get axes (which I didn't like because they arced as opposed to going straight ahead) and also the shield, which was the ultimate weapon because it would plough through all of the nasties. As well as having the weapon, you could also jump (which was important because you needed to jump onto the moving platforms to get across the water). One thing I remember was a little cheat (or should I say bug) in the 64 version - you deal with the demon without it attacking you by simply moving until a part of it was visible and then pummel it with your lance - if you moved any further forward, thus revealing it, then you would attack you viciously. I could probably go on with all of the other games that I used to play (if I could remember them that is). Even when the Commodore 64 has disappeared into the mists of obscurity (despite the fact that when I got my own PC the first thing I did was grab a C64 emulator and start playing C64 games again) there were still a whole heap of platform games that were available. One particular fun game I remember getting into was Commander Keen, and its kid sister Duke Nukem (which morphed into a first person shooter). Despite the power of computers, and the complexity of the games that were available, they were still quite popular. 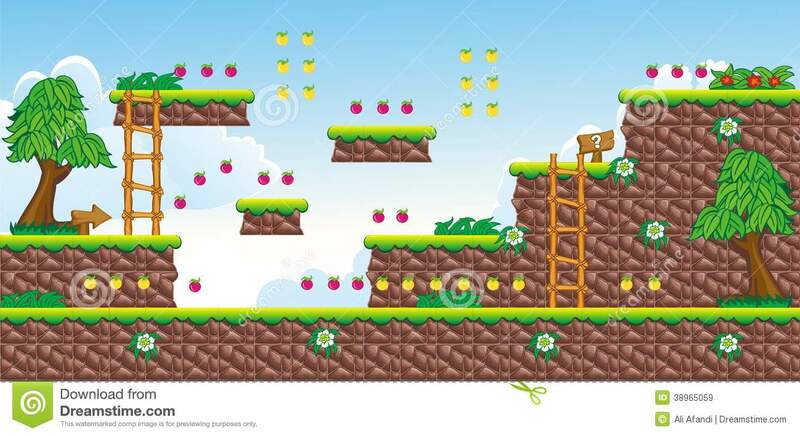 Bouncing Around - The Platform Game by David Alfred Sarkies is licensed under a Creative Commons Attribution-NonCommercial-ShareAlike 4.0 International License. This license only applies to the text and any image that is within the public domain. Any images or videos that are the subject of copyright are not covered by this license. Use of these images are for illustrative purposes only are are not intended to assert ownership. If you wish to use this work commercially please feel free to contact me.